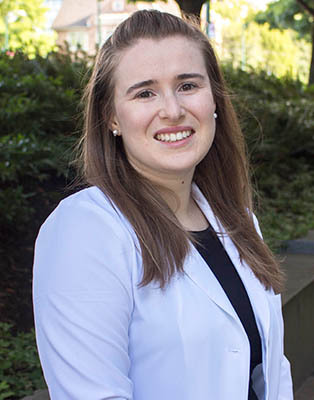 Kathryn Darras, a recent graduate from the Faculty of Medicine’s Radiology Residency Program and current nuclear medicine resident, was awarded an Education Scholar Grant for over $100,000 CAD from the Radiological Society of North America (RSNA) – making her the first Canadian recipient. The two years of funding is dedicated to the development of innovative educational strategies for radiologic sciences. Dr. Darras and her team plan to use the funds to create virtual and augmented reality systems to enhance the learning experiences of medical students. This will be the second educational resource created by Dr. Darras – who developed the evidence-based UBC Radiology Teaching App, last year. The app encourages medical students to build their knowledge and confidence in radiology with a variety of interactive medical images, as well as access to clinical cases and reasoning. Since its release less than a year ago, the app has garnered close to 20,000 downloads and is being used as a teaching tool for medical students all over the world, including in developing countries. For the RSNA grant, Dr. Darras will be working with the same team including software engineer Matthew Toom, a fellow UBC resident based at UBC’s Family Practice residency site in Nanaimo, academic supervisors Bruce Forster, Professor and Head of Radiology, and Savvas Nicolaou, Professor of Radiology and the Department’s Vice Chair of Undergraduate Education and Continuing Professional Development.